Have you been naughty? And do you have dark under-eye circles? 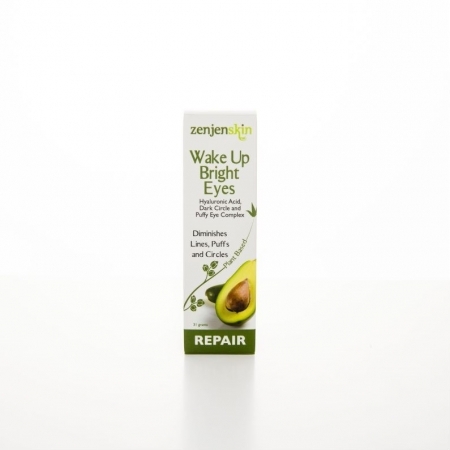 Try Wake Up Bright Eyes dark circle repair cream and forget that you were up all night. Because no one will know. This silky cream absorbs easily into the skin doing its magic. As an extra added bonus-expect Wake UP Bright Eyes to last 4 to 6 months! 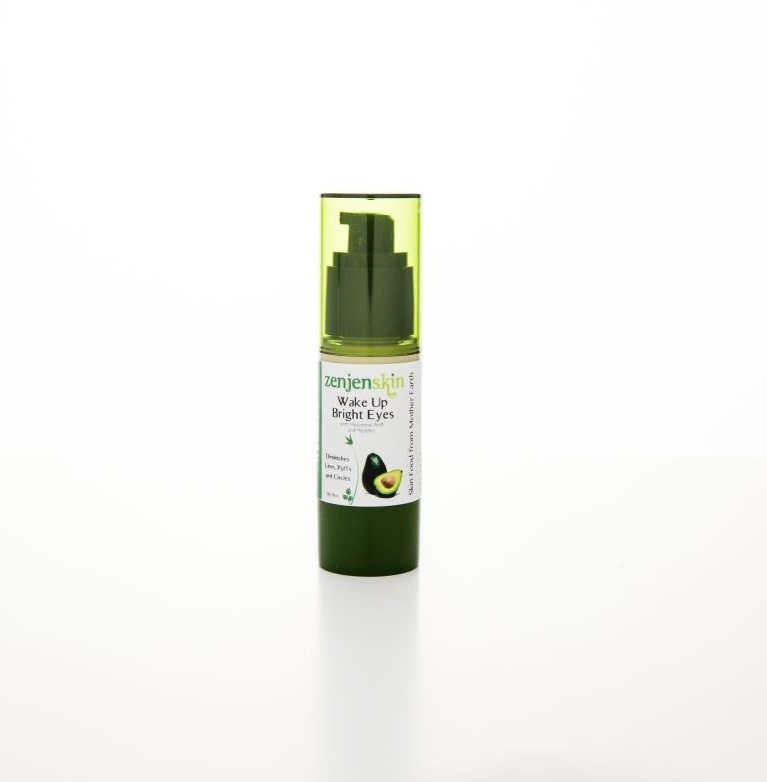 A little bit goes a long way and 1 oz is quite a bit:) It is lightly scented with organic essential oils. 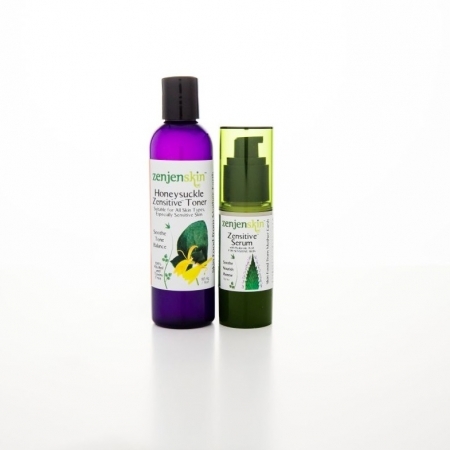 Packaged in a 30 ml airless container to keep all the goodness to the last pump. Recommended for all skin types including sensitive skin. Guys love this cream too! Eyebright soothes, tightens and tones the delicate area around the eyes. So there is a reason why it is called EYEBRIGHT. Peptides: Hydrolyzed Rice Protein tones and reduces wrinkles. It also increases collagen synthesis, cell proliferation and revitalization. 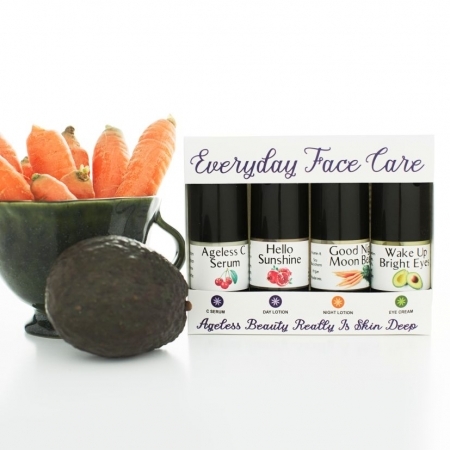 Green Tea, Coffee, and Pomegranate work together to tone, and reduce puffiness. They also repair dark circles. Dark Circle Complex strengthens blood vessels under the eyes reducing the look of dark circles. 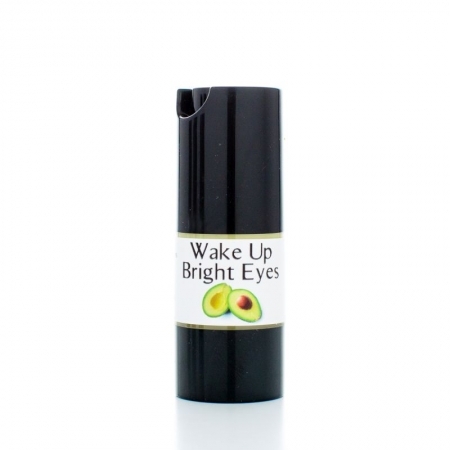 Avocado Oil: Full of Vitamin K, increases circulation around the eye. Avocado is one the five foods for Radiant Skin. Furthermore, Did you know an Avocado is a perfect food containing most of the nutrients your body will need? So eat one a day and glow from the inside out! Carrot Seed: High in antioxidants and Vitamin A, it conditions and protects. It also is known to repair damaged skin. 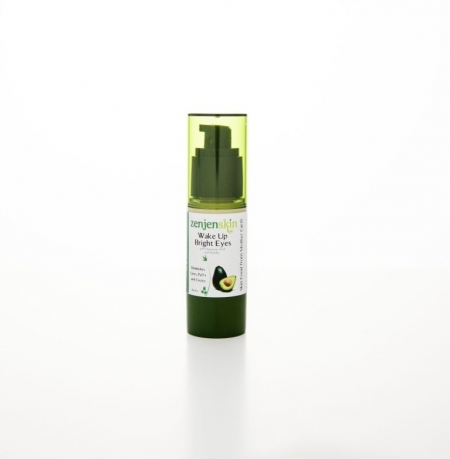 Jojoba oil: Moisturizes and increases skin’s elasticity. And did you know, jojoba is just like the oils naturally in your skin? So your skin will love it! Shea Butter: Hydrates and softens lines around your eye. Also just like the ZenJenSkin way, we only use Organic. Turmeric: is one of Nature’s miracles. This golden root is a rock star taken internally and applied externally. Turmeric improves elasticity of the skin and is a wonderful anti-inflammatory, reducing puffy eyes. 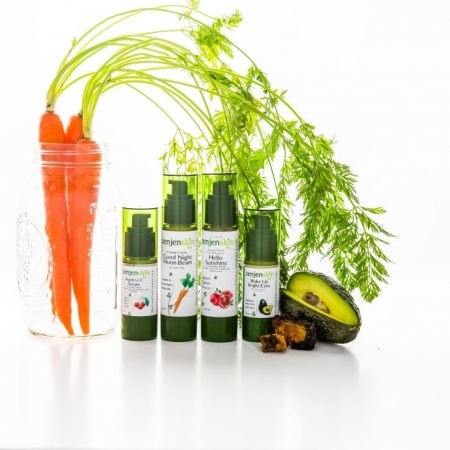 Organic Aloe Barbadensis, Butyrospermum Parkii (Shea Butter),Cetearyl Olivate, Sorbitan Olivate, Glyceryl Stearate, Organic Simmondsia Chinensis (Jojoba), Organic Persea Gratissima (Avocado) Oil, Organic Oryza Sativa Rice Extract, Euphrasia Officinalis (Eyebright) Extract, Lactobacillus Ferment Lysate & Organic Camellia Sinensis Leaf (Green Tea) Extract & Punica Granatum (Pomegranate) Extract & Caffeine, Hydrolyzed Rice Protein, Lactobacillus Ferment, Dark Circle Complex, Organic Vitis Vinifera, (Grapeseed) Oil, Brassica Oleraceae (Broccoli) Seed Oil, Organic Rosa Canina (Rosehip) Oil, Hyaluronic Acid, Turmeric, Tocopherol, Xanthan Gum,Organic Passiflora (Passion Flower) Powder, Organic Daucus Carota(Carrot Seed) Oil, Plus a propriety blend of Essential Oil. I have been using this product for at least 6 months now and love it!!! Love that it is natural, plant based and I love the way my skin looks. Thanks Jen! Thanks Rarhel, I am glad you like it. It is one of my favorites too! I am very impressed with this stuff! It has worked wonders for my dark, puffy eyes. Not only has it helps the puffiness, I have visibly noticed the lines have faded. I started using it on my neck and forehead and my neck is tighter and my forehead wrinkles have nearly vanished in just a few weeks. I’ve told everyone how great this is. I’m a big fan! Thanks for making such great products, Jen! I found Jen at a craft fair in downtown Asheville N.C. and took a chance on this eye cream and it is phenomenal. I have fine wrinkles on my eye lids and puffiness under the eyes and this one product improves everything. I love that it is all natural. Thank you for a wonderful product!